The Bank of Canada's decision to hike its interest rate for the first time in seven years was a bad idea, argues economist Louis-Philippe Rochon. 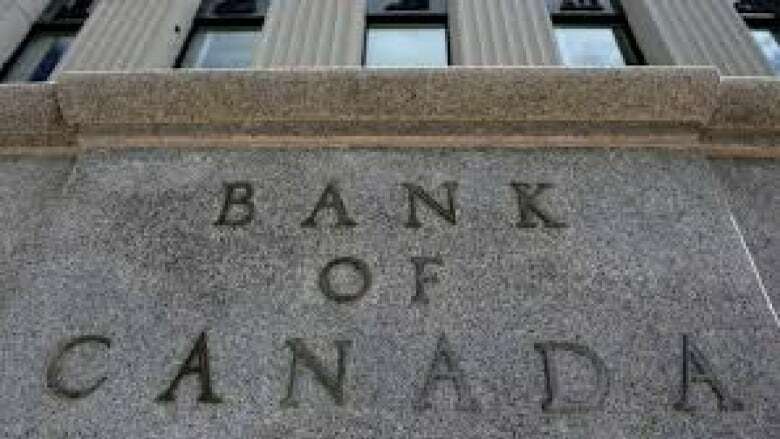 July 12 marks the date the Bank of Canada ignored common sense and increased its rate for the first time in seven years. Economists are largely divided on whether this was a good move, but in my opinion this was an ill-informed decision, largely based on the usually strong first quarter data, which may prove unsustainable in the longer term. In turn, it raises important questions about the conduct of monetary policy and the need to rethink the role and purpose of central bank policy. For the record, I don't think there is much to fear from a single increase to 0.75 per cent from 0.50, though it will have an immediate impact on mortgage rates — some Canadians will pay more for their homes. However, it is the prospect of what that move represents that sends chills down this economist's spine. As we know all too well, central banks never raise rates once or twice, but usually do so several times. Indeed, the consensus among economists is that there will be at least two more raises before the end of 2018, bringing the bank rate to 1.25 per cent. This is still low by historical standards, but the raises begin to add up. I expect many more rate hikes through 2019 and 2020. You see, the Bank of Canada believes the so-called natural rate is 3 per cent, which means we could possibly see nine more interest rate increases. Imagine the damage that will do. Yet, according to their own model, this rate is the "neutral" or "natural" rate and should have no far reaching impact. Try telling that to Canadians who have consumer debt and a mortgage. Clearly, there is nothing "neutral" about these rate increases. This alone is a reason to rethink monetary policy. 'Inflation does not represent a current threat, and there are no inflationary pressures in the economy, which raises the question: Why raise rates? Second, the Bank of Canada targets inflation, and has been officially since 1991, a fact it reminds us of all the time. All other objectives, including economic growth and unemployment, or even household debt and income inequality, are far behind the principal objective of trying to keep the inflation rate on target. There is much to say about this, including whether interest rates and monetary policy in general are the best tool to deliver on the inflation crusade. Even if we accept this, inflation is currently at a near two-decade low. In other words, where's the inflation beef? Inflation does not represent a current threat, and there are no inflationary pressures in the economy, which raises the question: Why raise rates? I believe central banks have never really been comfortable with low rates. They lowered them on the belief that they would encourage bank lending and growth, especially in these times of fiscal austerity. However, it is clear now that low rates, or quantitative easing or even negative rates, have failed. The central bank figures they can't keep them low for ever, so we might as well start raising them, essentially because, well, that's what their model says (the same model that failed to predict the crisis, I might add). The priorities of the Bank of Canada are all wrong. We need to focus, first and foremost, on economic growth, not (imaginary) inflation. And that requires the active participation of fiscal policy as well. So far, the Trudeau government has been largely passive on this matter. Trudeau himself needs to wake up.The overall strategy has been to rely on the Infrastructure Bank and on trade deals such as the Canada-European Union Comprehensive Economic and Trade Agreement (CETA). But as I have written here before, both policies carry costly consequences for Canadians and could hinder growth, not encourage it. Monetary policy has been a failure. It has failed to encourage growth, as has been plainly obvious in this lost decade, and has been uninspiring. Not many economists dare to speak out against the wisdom of central banks and their inflation targeting quest for fear of being ridiculed or being denied tenure. But the recent history of central banking reveals an ineffective pursuit of inflation, and at tremendous social costs. It is time to do three things. First, we need to seriously rethink monetary policy, its purpose and objectives. Is inflation a worthwhile target? If so, is monetary policy an efficient policy tool? My own research is clear: no and no. If that's the case, what role do rates really play? Well, we know they have redistributive properties, so perhaps we should focus on that. Indeed, raising rates will have an impact on wage gains, but also on rentier income. Second, we need to explore other acceptable objectives. Economic growth, income redistribution and low unemployment are all a good start, but that would imply keeping rates low. To counter possible speculative financial activities, we need robust regulations. Finally, we need to rely much more on fiscal policy and embrace its ability to deliver on economic objectives such as growth and employment. We've had three decades of favouring financial interests. It is time for the pendulum to swing back and prioritize policies that will deliver wage gains, a higher standard of living for working Canadians, and increased focus on ecological and environmental concerns. Louis-Philippe Rochon is a professor of economics at Laurentian University and co-editor of the Review of Keynesian Economics. He is currently on sabbatical at the Universite de Grenoble-Alpes.